Below is a list of frequently asked questions about Red Lake, Ontario. 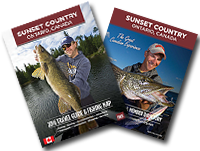 If you have further questions about visiting Sunset Country such as crossing the US/Canada border, items you can or can't bring into Canada, fishing & hunting licenses and types of accommodations, please visit the Sunset Country FAQs page. If you have further questions about traveling in Red Lake and Northwestern Ontario, please contact us at the Ontario's Sunset Country Travel Association. We can be reached toll free at 1-800-665-7567 or locally at 807-468-5853 or you can email us your questions. Red Lake is located at the end of Highway 105. The town is situated on the shores of Howey Bay. If you are driving from the U.S., the easiest way to get to Red Lake is to go through the International Falls/Fort Frances border. Go east from Fort Frances on Highway 11 for approximately 30 km (18 miles), then head north on Highway 502. When you reach Highway 17, turn west (left) away from Dryden (or make a right if you'd like to stop in Dryden for a bite to eat or do some last minute shopping) and head towards Vermilion Bay for 45 km (28 miles). At Vermilion Bay, take Highway 105 north 172 km (106 miles) to the Municipality of Red Lake. From Winnipeg, you'll take the Trans Canada Highway (Highway 1 in Manitoba and Highway 17 in Ontario) and go east for about 305 km (182 miles) until you reach Vermilion Bay. At Vermilion Bay, take Highway 105 north 172 km (106 miles) to the Municipality of Red Lake. If you're driving from Thunder Bay, you'll take the Trans Canada Highway 17 and go west 385 km (230 miles) until you reach Vermilion Bay. From the junction of Highway 17 & 105, take Highway 105 north 172 km (106 miles) to Red Lake. Sunset Country is less than a day's drive from many US Midwest cities. There are three border crossings from Minnesota: Baudette, International Falls, and Pigeon River. All main highways and roads in Sunset Country are paved. If you are flying, you can fly into Winnipeg, MB, Thunder Bay, ON or International Falls, MN. From the airport you fly Bearskin into Red Lake or can rent a car or van or use a shuttle service. 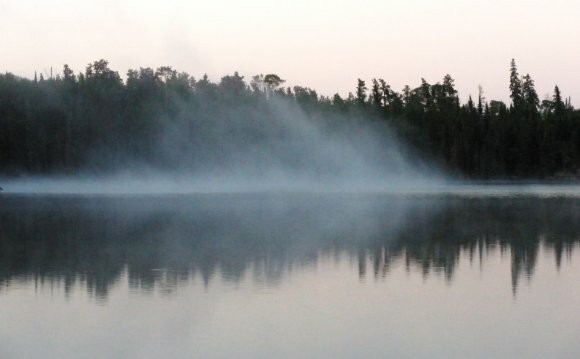 Your tourist outfitter should be able to give you suggestions on the easiest way to Red Lake from your home city.